Who can take advantage of 3D scanning technology? The answer is anyone in design, surveying, testing, development, engineering and manufacturing. 3D scanning can be applied at any point in the manufacturing process thus saving material, money and time. This technology results in better fitting parts and higher quality what makes scanners 3D technology worth the investment. A 3D scanner is a device that analyses a certain object or environment from the real world to collect data on its appearance and shape. The collected information later can be used to be designed digital 3D models. Today scanners 3D are much easier and faster than traditional ones and they enable automated, accurate and fast 3D scanning. 3D scanners can be divided into two main categories: short and long range scanners. Short range usually utilizes structured light technology or a laster triangulation while the long-range scanners are available in two forms: phase shift and pulse-based and both of them are suitable for large objects like aircraft, buildings, military vehicles and structures. Design phase. Using 3D scanning during the design phase starts with a physical object which is used to design a computer-aided design model. Designers oftentimes need to make some additional designs to some already designed objects. These additional parts can also be scanned by the 3D scanner and incorporated into the design, resulting in better fitting parts. This process of using an already manufactured part to create a computer-aided design model is known as reverse modelling or reverse engineering. By utilizing reverse modelling new designs can be used in engineering optimization thus improving the entire process. Production phase. 3D scanners can also be used to capture all the changes that happen into the tooling process. More often tooling is hand tuned in order to be achieved the finished and desired look of the object. Using 3D scanning technology can change hand modifications into a tool to tool process ensuring all parts match perfectly with each other. If used in a right way, 3D scanners can also be used to predict or eliminate tool failure. Quality control. 3D scanning technology is beneficial in the quality control phase as well because it can be used to analyze the condition of the parts after they have been produced. For quick inspection, there is a non-contact technology used so it can quickly check the complete size and shape od produced parts and detect the issues if there are any. On the other hand, contact technology is used to detect bores, bolt-hole locations and other prismatic features. 3D scanning is used in combination with statistical analysis software to keep and predict the level of quality in the process of manufacturing. 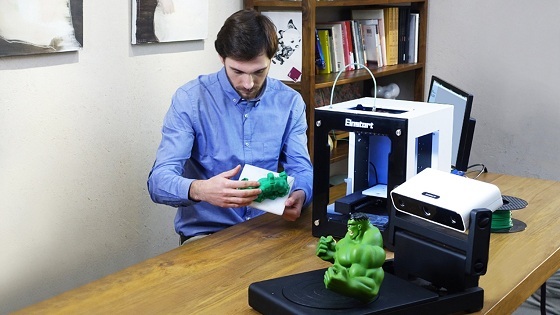 Some of the other benefits of 3D scanning are quickly capturing of all physical features of the given physical object, it saves time, ensures parts are well fitted with each other, utilize modern manufacturing, etc. With so many advantages, buying scanners for 3D technology are definitely worth the investment.